Modular: PhotoSwipe is built into several modules, allowing you to ditch particular features you don’t need. This keeps the library very lightweight. Responsive: an indispensable feature by all means. Photoswipe serves the appropriate image size based on the current viewport. Touch gesture: PhotoSwipe supports some touch gestures which allow users to interact through Tap and Pinch, giving them pop-up, zoom, and close features. Linking to jQuery. In this tutorial I’m going to use jQuery 2.0, therefore only supporting modern browsers. Grab the copies of PhotoSwipe library which comprises the files: photoswipe.min.js, photoswipe-ui-default.min.js (the code that constructs the PhotoSwipe UI), default-skin.css, default-skin.png, default-skin.svg, andpreloader.gif. Arrange the files in your preferred directory order and link them within the HTML file. Aside from the class and the Schema attributes (which will help with SEO), we’ve also added a data-* attribute in the anchor tag wrapping the image. This stores the full size (width x height) of the image. Now we add the markup that PhotoSwipe will use to overlay the full images. Add this just before the closing body tag, </body>. Our images are grouped within a div with the picture class. There may be several more image groups within the page, hence we loop through each .picture element. We first initialize with an empty array in items = . Then we loop through each anchor tag with the .each() method. $href = $(this).attr('href') obtains the value in the href attribute, storing the path of the full image. $size = $(this).data('size').split('x') will obtain the value of the data-size attribute through the jQuery .data() method. We then use the the split()method to separate the value. We are able to obtain the value of the width and the height separately with: $width = $size and $height = $size. Using the push() method we collect al this information in an Array. We now have the image source and the image size stored in the items variable. To verify, you may run the variable through the console.log() and you should find the following data structure in the DevTools. Next, we bind the figure element with the click event, construct a PhotoSwipe instance, pass the items along with the configuration options, and finally initialize PhotoSwipe. The reason we use the figure element to click on, rather than the anchor tag, is so that we are able to easily retrieve the index (or the subsequent order). This allows us to inform PhotoSwipe of the correct index to overlay the corresponding image. Now you’re started, you can also adjust PhotoSwipe with a handful options provided and even preload the image so you will see the full image instantly upon clicking. I will leave the styles to your imagination since there are no strict rules for those. I hope you’ve learned something from this tutorial, and find it useful at times. Don't forget to check out the live demo and leave any questions or thoughts in the comments! 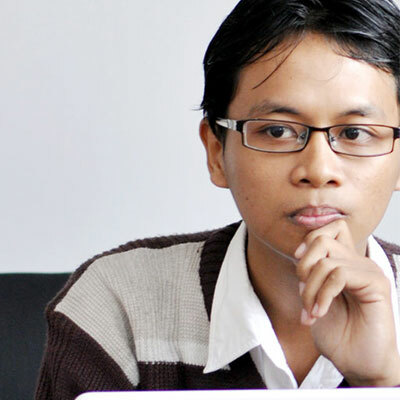 I'm a web designer, living in Indonesia. I love trying new things around CSS3 and HTML5. I also authored a book, Responsive Web Design by Examples, which covers practical approaches on building responsive websites rapidly with frameworks.